If you are selling a physical product online, your visitor can’t touch it. Nor can they try it out, for example, if it is an item of clothing, as they can in a real store. They are relying largely on the pictures they can see of the product, plus the description you write. This means, the sharper and more professional-looking your products are, the better. I have worked with new companies just starting out with an online store, who have tried to save money by taking photos of their products with their digital camera. Unfortunately, unless you happen to be a very talented photographer, these kinds of photos just don’t look professional. They will make your online store look amateurish, and will put doubts in your prospective customers’ minds. If you really can’t afford to get photographs of all your products taken professionally, then just get photos of your top selling items, initially. The 80/20 rule usually applies to online stores. Eighty per cent of your sales will come from 20 per cent of your products. So if your budget is tight, get a professional photographer for those top-selling 20 per cent of products. When you are selling a large number of products from an e-commerce site, you need a different style of copywriting from a site selling a single product or service. It needs to be short, sharp and concise. You need to point out the benefits of each product by using a minimum of words. On the home page of an online store, you really only have the luxury of one or two open¬ing paragraphs (maximum of three). Then you should display one of your hot products or special offers prominently, with an order button right there. If you are a new or relatively unknown store, you should show your money-back guarantee, upfront on the home page. Make it as generous as possible. This goes a long way to help reduce customers’ nervousness about doing business with an unknown company. Also, provide an About Us link on your home page. This will allow nervous customers to check you out before entrusting you with their credit card details. Many people shopping online leave their carts abandoned… a majority, according to some studies. For one reason or another, they give up half way through the purchase process. Sometimes, people simply change their mind and there’s nothing you can do about that. But in most cases of shopping cart abandonment, it is due to the checkout process being confusing for the customer. This is something you definitely CAN do something about. You need to make your checkout process as “idiot-proof” as possible. The easier it is for visitors to complete a transaction, the more purchases you will see and the instances of cart abandonment will decrease. Customers get frustrated easily and the more steps it takes from the time they select a product to the time they pay for it, the higher the chance they will give up all together. Customers are much more likely to purchase from you if your website displays contact information in a conspicuous area. 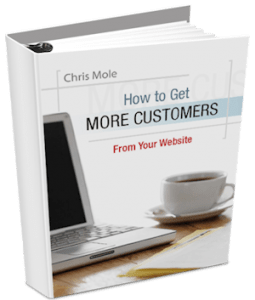 Put it at the top of every page and your customers will have confidence that if they experience any problems they can contact you. Look at how the big online stores, such as Amazon, do it. At the top or bottom of the page, there is a list of the steps in the checkout process with the customer’s current step highlighted. This allows customers to know exactly where they have been and where they are going. It reduces frustrations because the checkout process is clearly mapped out for them. This reminds customers of what they are buying and acts as an extra incentive to complete the transaction! The checkout button must be prominent on every page of your site, so your customers can’t miss it! 1. Be creative with shipping costs. Don’t give your customers a nasty surprise at the checkout with unexpected shipping costs. Absorb shipping costs for orders over a certain dollar amount to encourage bigger orders. For the more price-sensitive customers, bury part of the shipping costs in the actual price of the product. You’ll win over customers that you might have lost. It’s a good idea to offer two shipping options… a regular (cheaper) one and an express service at a higher price. 2. Clearly explain your return policy. Include your policy with your Guarantee. The more generous you are, the more comfortable your customers will be. Don’t worry about the occasional customer abusing your generous return policies. Of course, you’ll get a small number who will. But most online store owners can verify that 99 per cent of customers are decent people who won’t abuse your generous policies. When you are talking with your web developer about the right software to use for your online store, the checkout process should be high on your priority list. Some shopping cart software is incredibly clunky and requires page after page to be clicked on, and forms to be filled out, before the customers completes the order. The bottom line… 3 clicks from Buy Now to Submit Order is ideal. Every additional click you add to the process lessens the likelihood of a sale. Smart companies like Amazon add each customer’s information into a database, so they never have to enter it again. This makes the buying process super-easy for every subsequent purchase. Once you’ve made an initial purchase from Amazon, you can bypass all the tedious form-filling, and buy with a simple one-click process. Check the checkout process before launching your store! Find a few people, such as friends or family members, who are similar to your target customer. Ask them to purchase something from your online store and give you their brutally honest feedback. Ask them to browse the site looking for products. Are they easy to find? Listen very carefully to the feedback you get. Note where people say they get stuck or confused. Then fix these problem areas and test again with more people, until the whole process is super smooth for customers. On the Internet (as in life) most people try to copy each other. They are afraid to stick their neck out and be different. They want their website to look like everyone else’s. They want to play it safe. Unfortunately, this is a recipe for mediocrity. Look at any truly successful online store. It stands out because it has a unique “personality”. The point is… there MUST be something unique about your store that sets you apart from your competitors! Most retail stores in a shopping mall or town centre try to change their window displays regularly. You should do the same with your online store. Keep your home page fresh and up-to-date. Put hot, topical items on your home page, which will draw people’s interest and pull them deeper into your store. 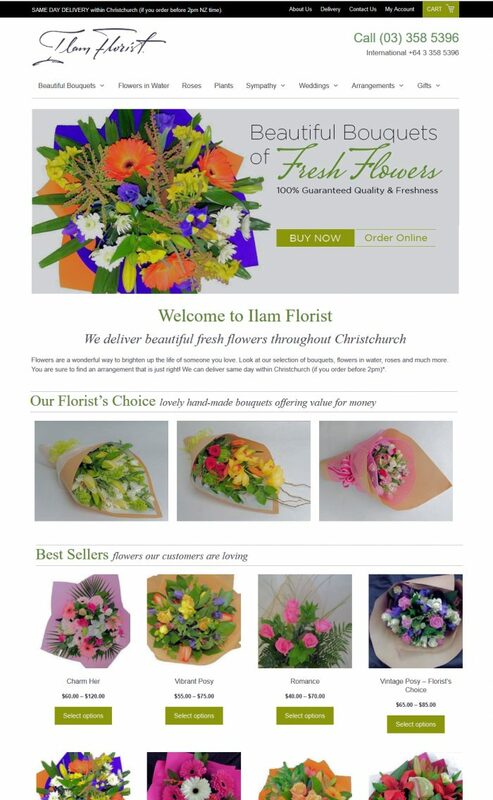 Ilam Florist’s home page is a good example of an effective online store that entices customers to buy. Make sure you collect the email address of every customer and put it into a database, so you can follow them up with special offers in future. Ideally, this facility to collect email addresses in a database should be built into your shopping cart software. You should also have a newsletter sign up form located prominently on your home page. There are differing opinions among Internet marketing experts about whether to use plain text or HTML emails for follow-up marketing. HTML is better for online stores. Plain text emails are less likely to be blocked by spam filters. This is because HTML emails are primarily used by advertisers, so they tend to trigger the interest of spam filters. Emails that are predominantly made up of images, with very little text, are a red flag for spam filters, as spammers often use this format. But if you include plenty of text in your HTML emails, you shouldn’t have too much problem with spam filters. The reason I advocate HTML emails for online stores is that you want to show pictures of your products. And you can’t do it with plain text emails. With HTML emails, you can send any page of your online store, directly to a customer’s inbox. Customers can buy directly from the email… simply by clicking the Buy Now button. A well-designed HTML newsletter is a powerful way to grow your online store business. 1. Is the store itself a great product? In other words, does it look sharp, professional and inviting for customers? 2. Is the opening paragraph on your home page effective? Does it spell out your USP (unique selling proposition)? Does it speak to your prospective customers’ emotions? 3. Can your customers reach every product in the store in three clicks or less? 4. Are the product photographs professional? Do you have photographs of people using the products? (You should). 5. Are the product descriptions clear and customer-focused, spelling out benefits of each product? 7. Have you eliminated your customer’s risk (i.e., a strong guarantee etc). Is the guarantee crystal-clear to the customer? 8. Is there a smooth checkout process, with no more than three clicks from Buy Now to checkout?